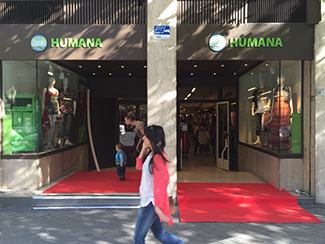 Humana today opens its sixteenth second hand store in Madrid, in 16, Ronda de Atocha Street, in the neighborhood of Embajadores and close to the Atocha rail station. 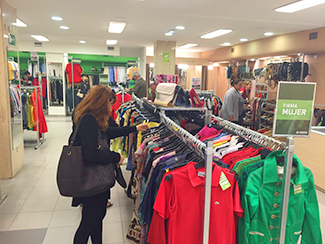 It has a sales area of 490 square meters on one level, capable of holding over 8,000 items. The opening hours are Monday to Saturday, 10 to 21 hours, and Sundays and holidays from 10:30 to 20 hours. The Foundation now has 34 shops in Spain: 16 in Madrid, 14 in Barcelona, two in Seville and 2 in Granada.